Maggie Stiefvater unveiled the official cover for Linger, the sequel to the Shiver in her Wolves of Mercy Falls series.. I love the way the silhouette is is subtly placed in the illustration. Linger releases in fall 2010. I was lucky enough to win Shiver. I'm hoping to get to it soon and then get to this one. Looks really good. Kay its always nice to see a series develop its own unique style apart from what the rest of the genre is doing. Simple covers but elegant. Cool blurb and a perfect cover! I just just finished Shiver, and wow. 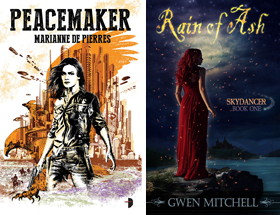 Such a breath of fresh air in the YA paranormal genre. I started it at noon, and haven't put it down all day. But now, who in the world is Cole? I have 'Shiver' on my TBR pile - as much as the story intrigues me, I gotta admit I am like a moth to flame when I see a pretty cover. 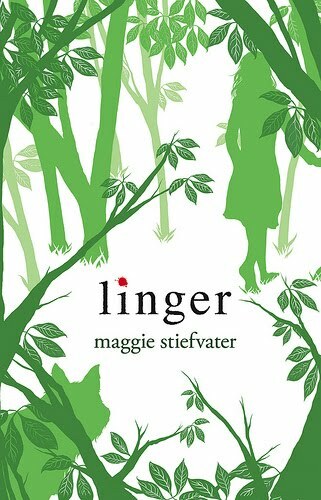 Stiefvater has a great design team working for her - I like the silhouette, and the green/blue complements between Shiver and Linger. I like the fact that this YA werewolf book isn't following in the footsteps of so many before it - like Alex Duvall's rereleased 'Vampire Beach' covers imitating Stephenie Meyer's 'Twilight' covers. Bah! Sheila I am sucker for illustration. Haven't read Shiver but I hope to soon. Danielle well you know what they say about immitation. I've noticed a slew of YA cover recently imitating the style of the Vampire Academy books. Oooh! Looks good. I have yet to read Shiver, but am very much looking forward to it! This cover is a perfect compliment to Shiver. The plot sounds interesting as well! Thanks for the heads up! book sounds great, love the cover too. Victoria's Dreams Shiver is getting good reviews and I suspect Linger will too.